Fried Frank is a leading international law firm with approximately 450 lawyers from offices in North America and Europe. 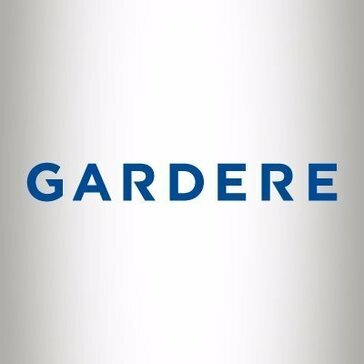 Founded in 1909, Gardere Wynne Sewell LLP is an Am Law 200 firm and one of the Southwest's largest full-service law firms with more than 240 attorneys based in three of the largest cities in Texas, as well as Colorado and Mexico, and covering more than 40 different areas of practice. We are noted for our commitment to client service and our ability to assist clients with their most complex and demanding legal and business challenges worldwide. Our corporate lawyers work proactively to protect clients' interests and position them for success. To provide efficient, meaningful and practical advice, we first seek to understand a client's business objectives, the environment in which it operates and the challenges it faces. In today's global economy and ever-increasing regulatory environment, anticipating clients needs is more important than ever. Gibson, Dunn and Crutcher is a global law firm. Gibson, Dunn & Crutcher is a full-service international law firm that advises on the most significant transactions and complex litigation around the world. Consistently achieving top rankings in industry surveys and major publications, Gibson Dunn is distinctively positioned in today's global marketplace with more than 1,200 lawyers and 19 offices. Our sustained success in delivering exceptional work and responsiveness is built upon our deeply held values of quality, integrity, collegiality and mutual respect. Because Gibson Dunn operates as a single, unified law firm in practice and culture, our lawyers work together across offices and countries to seamlessly provide clients with optimum, precisely coordinated advice. Godfrey & Kahn provides high-level service and creative legal solutions to its clients. For 60 years, our attorneys and staff have been guided by five core values originally set forth by our founders: A focus on our clients' success, trust in one another and our clients, a culture of teamwork that helps us achieve more together, a work ethic to achieve whatever is possible, and an integrity that keeps us focused on the right thing to do for our clients, our employees and our communities. Goeschl Law Corporation offers comprehensive immigration services to corporations and entrepreneurs. 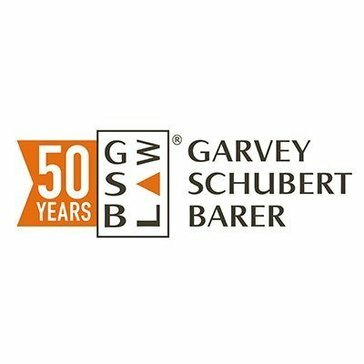 We are a global 50 law firm with a history of working on groundbreaking matters, and an increasingly focused approach to working with clients in the financial, private equity, real estate, technology and life sciences industries. Goodwin Procter is an american law firm. We present innovative solutions applicable to each of our clients' unique problems and circumstances. With more than 60 lawyers and over 20 paralegals, our size assures depth and proficiency in providing legal counsel without sacrificing personalized attention to our clients. Graydon Head & Ritchey LLP is Greater Cincinnati's most innovative and vibrant law firm, recognized by our clients as an indispensable partner, providing exceptional service and expertise. With deep legal knowledge, and even deeper empathy, Graydon serves clients in a variety of industries, in practically all areas of law. GTC is a law firm helping technology companies execute their intellectual property strategies. 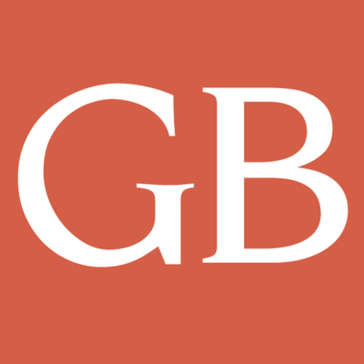 Gunderson Dettmer is a business law firm. Gunderson Dettmer is the only business law firm of its kind singularly focused on the global venture capital and emerging technology marketplace. We provide our clients with counsel on general corporate and securities law, mergers and acquisitions, financings, intellectual property and commercial agreements, strategic alliances, executive compensation, and tax matters. We combine our deep market knowledge and strong industry relationships with a unique practice experience to provide practical, business-oriented counsel designed for the needs of the emerging-growth company marketplace. Gust Rosenfeld matches our firm's legal knowledge with the specific needs of those we serve. Our attorneys draw upon years of experience in a variety of areas. Our clients range from Fortune 100 companies and other public entities to privately held firms and individuals. Hanson Bridgett is a US-based, full service law firm. Founded in 1856, Harris Beach is among the country's top law firms as ranked by The National Law Journal. Our law firm remains at the forefront of issues facing businesses in the 21st century, whether it's competing in the global marketplace, protecting innovations, helping organizations manage cyberattacks or meeting the demands of complying with the Affordable Care Act. Above all, we understand and match our clients needs to move faster, think more creatively and develop new business models to achieve sustainable growth. Harter Secrest & Emery LLP is a full-service business law firm providing legal services to clients ranging from individuals and family-owned businesses to Fortune 100 companies and major regional institutions. The firm is a recognized leader in corporate, employee benefits, environmental and land use, healthcare, higher education, immigration, intellectual property, labor and employment, litigation, real estate, and trusts and estate law. Hawkins Delafield & Wood LLP is the only national law firm in the United States whose practice is devoted primarily to public finance and public projects. Each of our specialty areas supports and complements our municipal transactions practice. The Firm has more attorneys engaged in the full time practice of public finance and projects than any other law firm in the country. Haynes and Boone, LLP is one of the American Lawyer top 100 law firms, with more than 575 lawyers in 15 offices and 40 major legal practices. We are among the largest firms based in the United States. Our growth has been driven by our client service strengths, especially our problem-solving acumen and our ability to collaborate with clients. Hirschler Fleischer is a full-service firm engaged in a diverse and sophisticated legal practice. At Hirschler Fleischer we approach our work with the entrepreneurial spirit established by our founders and are dedicated to our clients and their needs. We embrace a passion for the practice of law that engenders a commitment from our attorneys and staff to provide creative and practical solutions for our clients and the community. Holland & Hart is a full service, national law firm that today has more than 500 lawyers in 16 offices across eight states and in Washington, D.C. delivering integrated legal solutions to regional, national, and international clients of all sizes. Holland & Hart's attorneys have consistently been recognized by leading national and international peer and industry review organizations for innovation and dedication to the practice of law. From start-ups to Fortune 500 companies, we serve clients in a diverse range of industries from energy and resources, to food and beverage, to technology, communications and media, and more. Honigman Miller Schwartz and Cohn LLP is a leading business law firm serving clients locally, nationally and internationally from its Midwest base. We pride ourselves on understanding our client's businesses and being exceptionally responsive to their business goals and needs. Hughes Hubbard & Reed LLP is a New York City-based international law firm with a relentless focus on providing quality service to our clients and delivering successful results in the most complex matters. The firm is a leader in promoting diversity and is recognized for its pro bono achievements. Hunton & Williams is a global law firm serving clients in the United States, Europe, Latin America and Asia. 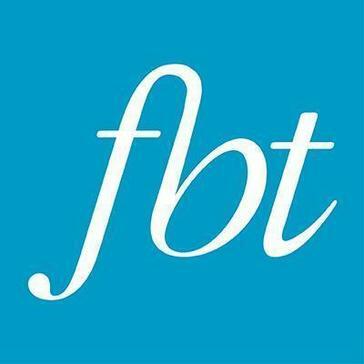 The firm handles transactional, litigation and regulatory matters for a diverse client base, with significant experience in retail and consumer products, energy, financial services, real estate, and privacy and cybersecurity. Husch Blackwell is an industry-focused, full-service litigation and business law firm with offices in 18 cities across the United States. We represent national and global leaders in major industries including energy and natural resources; financial services and capital markets; food and agribusiness; healthcare, life sciences and education; real estate, development and construction; and technology, manufacturing and transportation. Ice Miller is a full service law firm dedicated to helping our clients stay ahead of a changing world. With over 340 legal professionals in seven offices, we advise clients on all aspects of complex business issues across more than 20 practice areas. Our clients include emerging growth companies, FORTUNE 500 corporations, municipal entities and nonprofits. Our firm is known for its rigorous selection of lawyers. We insist on outstanding academic credentials, but we also place a premium on creativity, experience, and common sense. By developing lawyers who combine specialized expertise with broad-based legal knowledge, and by training new lawyers to undertake significant responsibility early in their careers, we are able to achieve outstanding results without overstaffing. Jackson Walker is a Texas-based law firm with a national presence and global reach. With more than 375 attorneys, we're one of the largest firms in the state, and we provide comprehensive services in a broad range of practice areas. Michigan-based Jaffe Raitt Heuer & Weiss, P.C. is a full-service business law firm representing and advising entrepreneurs and businesses nationwide. Focused on results, invested in relationships and driven by opportunity, Jaffe has more than 100 attorneys in its Southfield, Detroit, Ann Arbor and Naples offices. Jenner & Block is a law firm of international reach with more than 500 lawyers, founded in 1914. Since our inception in 1937, Jones Walker LLP has grown over the past several decades in size and scope to become one of the largest law firms in the United States. Jones Walker is committed to providing proactive legal services to major multinational, public, and private corporations; Fortune 500 companies; money center banks and worldwide insurers; and family and emerging businesses located in the United States and abroad. Katten Muchin Rosenman LLP is a full-service law firm with more than 600 attorneys in locations across the United States and an affiliate in London. We strive to be a firm of first choice for clients seeking sophisticated, high-value legal services nationally and globally. Law firm providing strategic counsel and legal services to a variety of business and government entities on a full range of US and international matters. At the law firm of Keating Muething & Klekamp (KMK), we strive to stay ahead of the curve in understanding the complexities of the new economy and anticipating how our clients' business goals may be affected. Our attorneys integrate themselves into our clients' businesses strategizing from their point of view in order to develop sophisticated, high-value solutions that are efficient, effective, and economical. At Kegler, Brown, Hill + Ritter, we believe that thorough knowledge of the law is not enough. Our experience shows that outstanding and effective legal counsel requires a combination of this knowledge along with a firm grasp of our client's business and a sharing of their goals. For over 38 years, Kelly Hart & Hallman has provided some of the country's most innovative and successful businesses, individuals and governmental entities with a full array of legal services. In those same 38 years, Kelly Hart has grown from five attorneys to over 160 attorneys practicing in more than twenty substantive areas of the law. We owe this success to our outstanding lawyers and unparalleled clients. We are proud of our past and excited about our future. An international law firm with offices throughout the globe, including CA, CO, DC, GA, NY, NC, TX, WA, China, Japan, and Sweden. A Law Firm Serving Global Clients. Kramer Levin Naftalis & Frankel LLP is a premier, full-service law firm with offices in New York, Silicon Valley and Paris. Firm lawyers are leading practitioners in their respective fields. The firm represents public and private companies ranging from Global 1000 to middle-market and emerging growth companies across a broad range of industries, as well as funds, institutions and individuals. For clients throughout the Midwest and across the country, Krieg DeVault provides clear, practical legal advice that takes in the big picture without losing sight of the details. That's how we approach your legal challenges and how we deliver solutions that are focused on your needs, your business and your world. Kutak Rock LLP is a national firm serving local, regional and national clients in a broad practice which emphasizes corporate, securities, real estate, tax, public finance and litigation. We encourage our attorneys to take advantage of the national resources and broad range of expertise the firm offers in order to provide the best legal services possible to our clients. Synonymous with excellence and innovation, Lane Powell's attorneys bring to their work a spirit of entrepreneurialism that is reflected in a client roster that includes some of the most venerable and dynamic companies and individuals in business today.A multi-specialty law firm, Lane Powell has helped emerging and established businesses navigate the Pacific Northwest and beyond for more than 140 years. Lathrop & Gage was founded in 1873 on the heartland principles of honor, service, trust and value. We are committed to serving our clients in the same unwavering manner today. Lathrop & Gage's 320 attorneys practice in 10 offices nationwide, from Los Angeles to Boston, allowing us to respond to clients needs at the local, state and national levels. Lathrop & Gage provides a full spectrum of corporate legal services: business transactions, employment and employee benefits, environmental, intellectual property and litigation. In addition, we offer a large and sophisticated wealth strategies team, which advises businesses, families and individuals. Chicago-based Lawrence Kamin Saunders & Uhlenhop LLC, has been providing legal counsel to business clients from financial institutions and the Fortune 500 to small- to mid-sized closely held businesses since working on the first securities cases after the 1929 stock market crash. We handle most general business legal issues, but have special expertise in the financial services industry, litigation and corporate and transactional business. With 380 attorneys in a full range of practices, LeClairRyan is an entrepreneurial law firm providing trusted business counsel and client representation in matters of corporate law and litigation. Our mission is to achieve excellence for our external and internal clients by providing responsive and timely services.